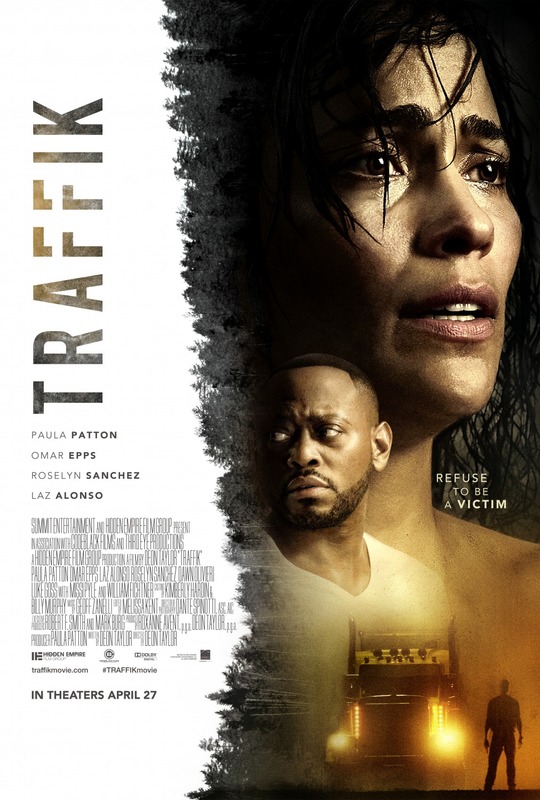 Brea (Paula Patton) and John (Omar Epps) are off for a romantic weekend in the mountains. Isolated at a remote estate, the couple is surprised by the arrival of two friends, Darren (Laz Alonso) and Malia (Roselyn Sanchez.) Just when the weekend starts to get back on track, a violent biker gang turns up and begins to torment them. The foursome are forced to fight for their lives against the gang who will stop at nothing to protect their secrets. Note: The first part of the credit plays over inverted scenes of trucks driving on remote highways.